Clear Solutions Window Cleaning Systems has provided residential window cleaning services to customers in Mogadore & Hudson, Ohio and the greater Akron ,OH area for over 20 years. We know how to clean your home thoroughly and carefully. Improper window cleaning and pressure washing can lead to expensive exterior and interior damage. Our attentive, courteous, uniformed professionals will treat your residence like their own. Contact us today to learn more about our fully insured services. What's better than RainX? Clear Magic Anti Static - our very own from Clear Solutions. Call today to find out more! Brighten up your home's exterior and interior. Wash away dirt and grime from your home. We'll clean the glass surfaces you can't reach. Reach out to us to discuss your house cleaning needs. You know Clear Solutions Window Cleaning Systems as the reputable window cleaning company in Mogadore & Hudson, Ohio and the greater Akron area, but we do more than just clean windows. Learn more about our comprehensive plans. Reach out to us today for your free estimate. 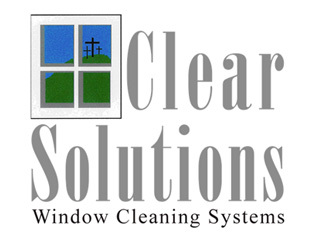 Clear Solutions Window Cleaning Systems understands the importance of thoroughly cleaning your home's windows. That's why we offer residential cleaning services in Mogadore & Hudson, Ohio and the greater Akron area. We'll help you protect and enhance your home. Call us today to experience the value of our cleaning services.